Lately my skin has most definitely not been at its best; I've always been prone to acne but recently it's got a lot worse and my regular foundation just hasn't been cutting it. 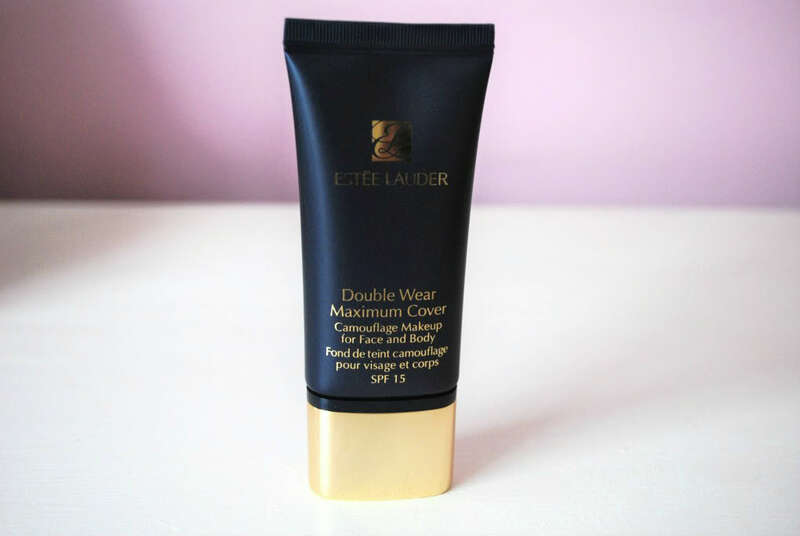 As much as a love the coverage of Estee Lauder Double Wear, for me, it just isn't enough at the moment. It does cover the majority of my blemishes, but only after I've applied rather more than I'd like to, which isn't ideal when the foundation itself costs over £25 a pop! 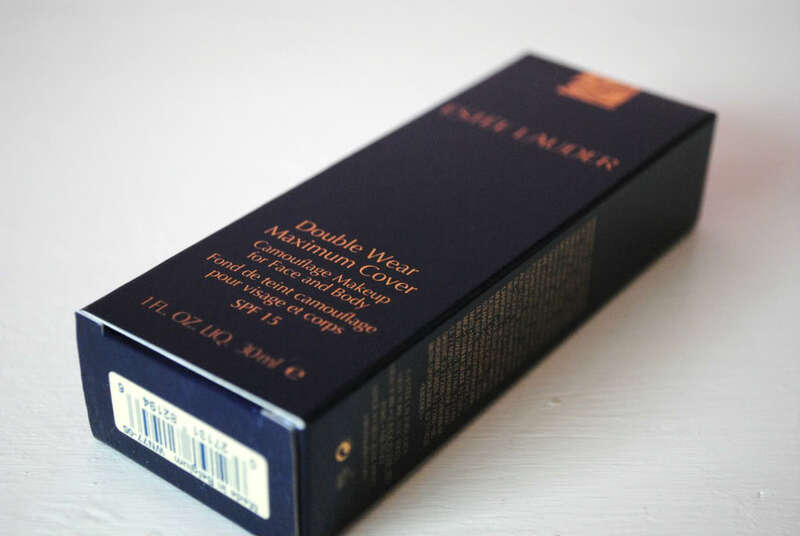 I've always been intrigued about Estee Lauder's other 'Double Wear' foundation, which I know doesn't really get much press (it's kind of hidden at the back of the Estee Lauder counter, I've no idea why they don't really like shouting about it). 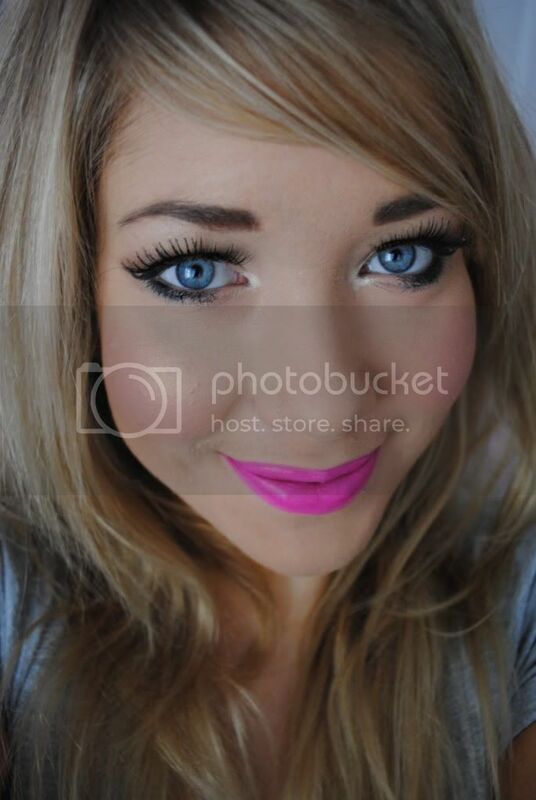 It's called 'Maximum Cover', and is described as a 'Camouflage Makeup' for face and body. It claims to cover tattoos, scars etc. - that suggests to me very heavy coverage. When trying it, I was pretty worried I'd look completely fake - as much as I love the 'made up' look, I don't want to look like I'm wearing a mask. I also feared it wouldn't let my skin breathe - I know some heavy foundations feel horrible on the skin so I was a bit worried about that. I had absolutely nothing to worry about. I love this foundation. It feels so soft and smooth on the skin, and the tiniest amount is needed to cover my blemishes (that previously would take a great deal of normal DW to cover). I've actually never known a foundation that requires so little to get the effect I need - I'm a bit of a nightmare when it comes to applying foundation as I always end up putting so much on to cover my spots - this really isn't needed with this foundation. I've also never known a foundation that feels so light and air-whipped when applying. Considering it is such heavy coverage I found this pleasantly surprising. The foundation lasts well, probably on par with normal DW, and I do find myself having to touch up any shine with powder as the day goes on, but with my oily skin that's the norm with any foundation. It stays on my skin just as well as ordinary DW, but just has the edge when it comes to coverage. The only thing I will say about this foundation is that you NEED to use a primer with it. You will have such a problem applying it if you don't - it tends to stick to the skin and dry really fast, making it hard to blend. Slap a bit of primer on first and it's a dream to work with. Is this foundation for everyone? No, definitely not. If you like a light/medium coverage/natural looking foundation then this most definitely is not for you. If, like me, you have blemishes that need covering or really like the 'made up' look definitely give this foundation a try. The key is to use the tiniest bit and buff really well into the skin, and you'll end up with really flawless looking skin. I know a lot of people who want to cover their blemishes, but don't want the 'made up' look use this as a concealer, which is definitely another way of using it. It retails at £26.5o (same as the normal Double Wear) and I really think it is worth it. I can see the tube (so glad it's in a tube, hate glass foundation bottles!) lasting me a really long while. As for the shade range, there aren't that many to choose from, so I'd definitely suggest getting a tester first. I was a toss up between Creamy Vanilla and Creamy Tan, but went for Creamy Tan in the end for when I've slapped a bit of fake tan on! I absolutely love how my skin looks with this foundation on, and it's most definitely my current go-to foundation. Maybe if/when my skin clears up I won't feel the need to turn to it, but in all honesty I think even if my skin was better I'd still love this foundation, purely because it's like a multiplied version of the normal Double Wear, which means I don't need to use so much! 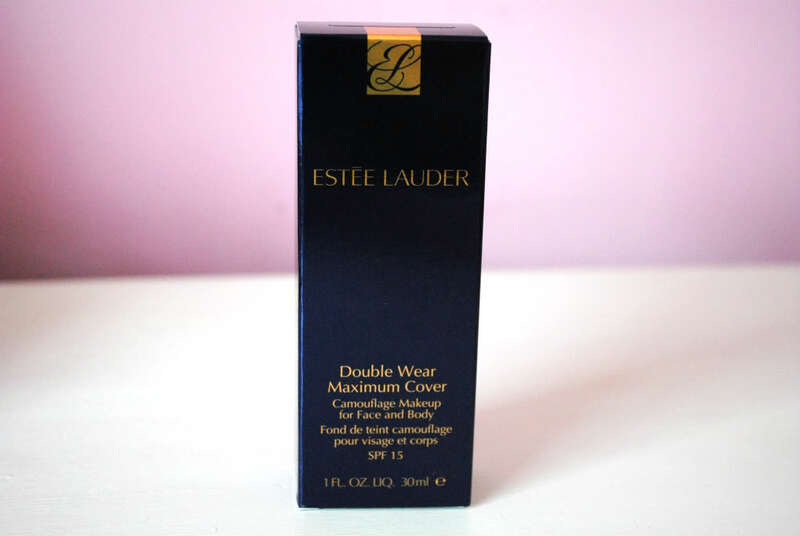 Have you tried Estee Lauder's Maximum Cover foundation? Do you prefer full coverage or more natural-looking foundations?